Visual Confirmation is a clear photo demonstrating the product/print flaw & shipping label (in the same photo). We recommend asking the customer for the following visual confirmation before contacting Viralstyle Support (when the customer first inquires). • Viralstyle Fulfillment cannot process the request until we receive this information. • Viralstyle Fulfillment does not require the item to be returned by your customer at any time, the customer may keep the product for the inconvenience. Please be sure to lay the product on a flat surface in a well-lit area, including the tag and/or product/print flaw clearly displayed. The original shipping label must be placed on top of or next to the issue you are reporting so our team can document and process your request. Please also send the Order Number associated with the order(s) in question. 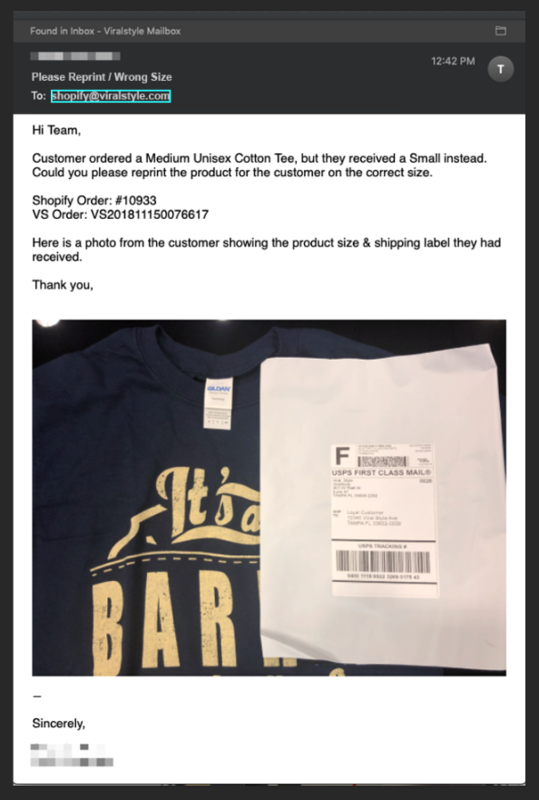 Below is an example of a "Wrong Size" garment email, the customer ordered a Size Medium, but received Size Small. This is a great example of an email sent in by the Shopify Seller, containing all the required information to process their request. We invite you to use the image below when requesting this information from your customer so that they can clearly see what you are requesting. Our goal is to provide our users (and their customers) with an amazing experience, starting with the checkout process, all the way through delivery. We as the fulfillment partner will take full responsibility for misprinted or damaged items. We take each report very seriously so that we can eliminate errors in future printing. 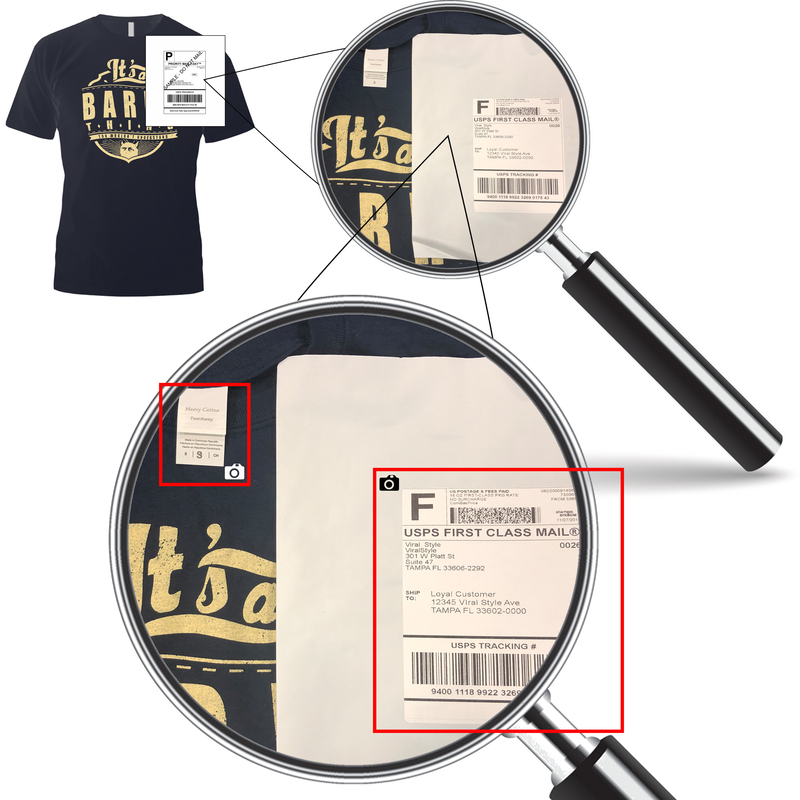 Simply reach out to us (In-app) with the order number & visual confirmation of the product/print flaw. We’ll be sure to expedite the reprint/reship.